A major development of 200 new homes, village green, medical centre and village centre to the west of Edinburgh. 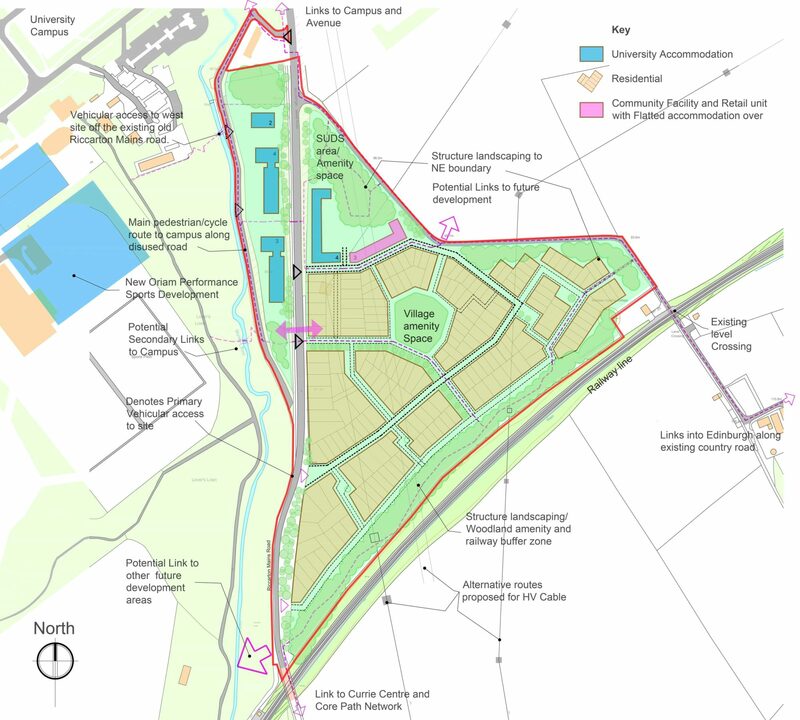 Aitken Turnbull worked with the Client, Planning Consultant and wider team on the development and submission of this Major Planning application for the creation of a new village to the west of Edinburgh. The development includes 200 new homes, with a village centre including village green, medical practice, village hall and local retail. The scheme underwent significant public consultation and engagement prior to submission.